Matt Legend Gemmell held a 6-hour workshop at NSConference in both the UK and USA recently, focusing on software design and user experience. Predictably, an extremely popular topic was the iPad, and how to approach the design of iPad applications. He gave a 90-minute presentation on the subject to start each workshop, and he is very kind to share some of his observations of iPad Application Design. This article is about the user interface conventions and considerations which apply to creating software for the iPad platform and touch-screen tablet devices in general. It is not a technical discussion of iPad-related APIs. This is an excellent article for designers and application developers. I am sure you will find it useful too. Nice article for a device nobody really wants. PS, I do like the interface. Very interesting article, working mainly on commercial websites I rarely get the chance to design for anything outside the standard computer screen. But this article had a lot of helpful tips for web designers generally. Nice Post. I agree with STAXX does anybody really want it? I like iPad, but functions of this device are too limited. I guess I’m one of the few people exited about the iPad. I think it brings a whole new level of interaction design. Check out this post I wrote about it. It fits nicely next to this article. 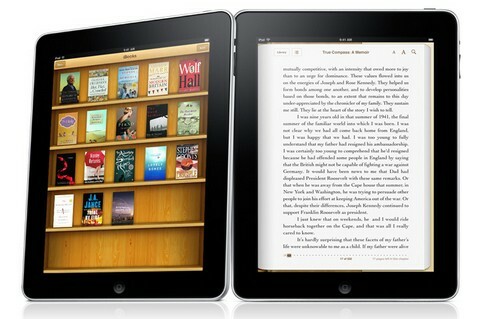 Cant wait to see what kind of apps and app designs come out when the ipad hits the shelves.